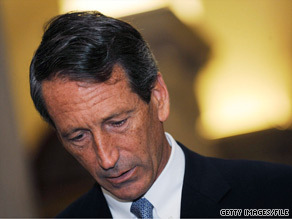 Two Republican lawmakers told Sanford to resign Tuesday. (CNN) - Two Republican legislators met privately with South Carolina Gov. Mark Sanford Tuesday and told him to resign - but the governor rejected their advice. Rep. Nathan Ballentine - a Sanford ally in the legislature - and Rep. Gerry Simrill met with Sanford in the South Carolina state House for about 40 minutes and warned him that unless he steps down, House Republicans are likely to impeach him. “I would be surprised if impeachment articles weren’t being drafted by someone,” said Rep. Jim Harrison, the Republican chairman of the Judiciary Committee. But Ballentine said the governor rejected the idea of resigning instead of facing impeachment - even with the message coming from a friend. “I think he wants people to sit back take a deep breath and see what other information is out there,” Ballentine said. Sanford’s office said the governor is ready to get back to work. “We wouldn't presume to guess what political detractors or foes, or for that matter the House Judiciary Committee, may or may not decide to do this next year, but we do know that there are real issues facing South Carolina tied to economic development, job creation, restructuring and spending - and we're committed to working on these with the Legislature over the weeks and months ahead,” said Sanford spokesman Ben Fox.